The legislature has vested the Department of Corrections (DOC) with the power to establish a voluntary comprehensive inmate work program that does not unfairly compete with Washington businesses (RCW 72.09.100), and the Department has done so through Correctional Industries (CI). Correctional Industries (CI) a unique blend of business and government, using private industry tools and techniques to provide a public service. The division's goal is to transform lives and increase successful reentry through training and mentoring by maintaining and expanding inmate work training programs which develop marketable job skills, instill and promote positive work ethics, and reduce the tax burden of corrections. 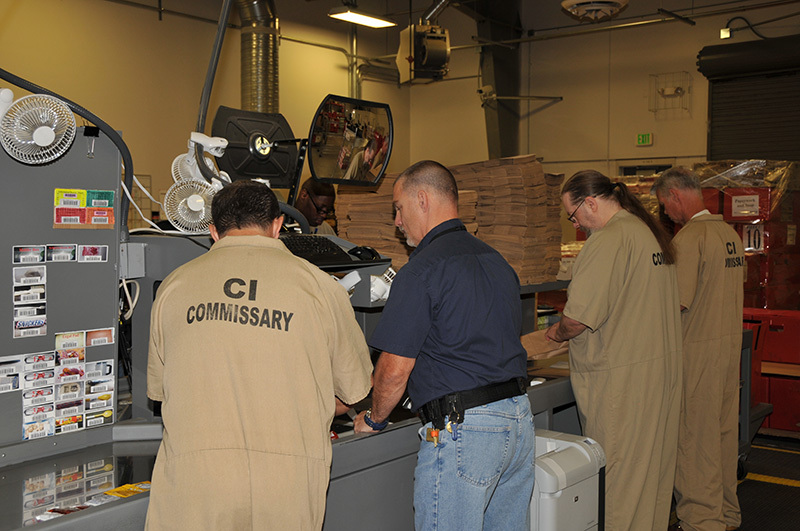 CI operates businesses within all prison facilities throughout Washington and employs approximately 2,200 inmates. Training and workforce development opportunities are provided to inmates through work programs modeled after the real-world, focusing on developing both technical and social skills. By linking basic skills, vocational skills, and on-the-job training, inmates are prepared for employment when they reenter into the community. Stable employment is critical to successful transition into the community. A recent study by Washington State University (WSU) determined that inmates who participate CI work programs were significantly less likely to commit new offenses leading to conviction and significantly more likely to remain in the community longer without committing a new offense. Additionally, once back in the community, formally incarcerated inmates who participated in CI programs were more likely to have a legal source of income, earn more than $1,000 per month, and earn an average of $1.03 more per hour than those who did not participate. Additionally, inmate work training and development also play an important role in daily institution management. Those who participate in CI work programs are significantly less likely to commit a violent infraction during incarceration. All Correctional Industries (CI) employees have a direct impact on inmate workers by imparting technical and social skills throughout the work day. Technical skills help a person secure a job, while social skills help a person keep a job and advance professionally and financially. CI employees also serve as workplace role models and help inmates build their self-confidence, and positive work behavior and habits for their release. Offender Workforce Development (OWD) specialists work with inmates on soft skill development and training and reentry planning while still incarcerated. They also work individually with inmates to develop an employment plan for release. 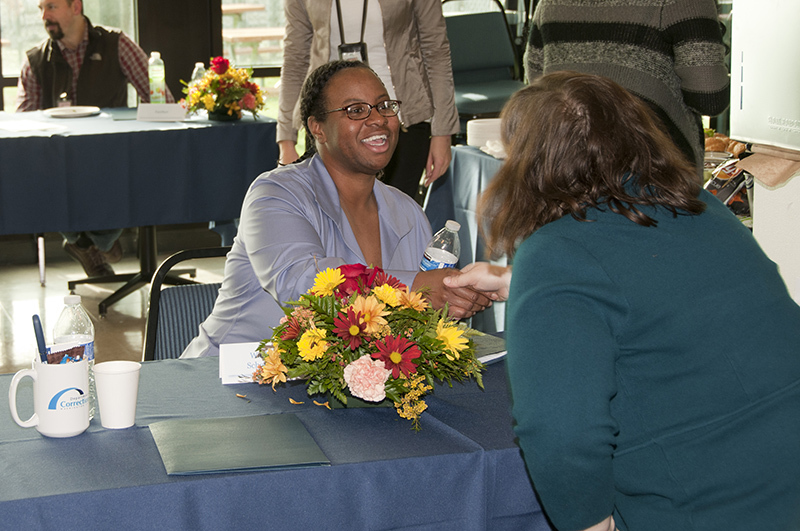 In addition to classroom training and individual plan preparation, OWD specialists coordinate with community partners to host career training events such as mock interview fairs. Inmates dress in shirts and ties to participate in mock interviews with members from the local community. 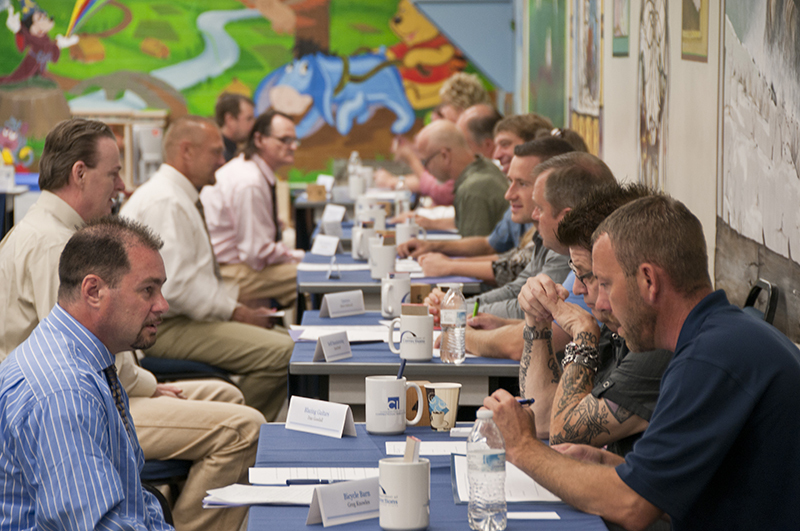 The event provides inmates with real world experience and feedback so they are better prepared to interact with potential outside employers upon release. 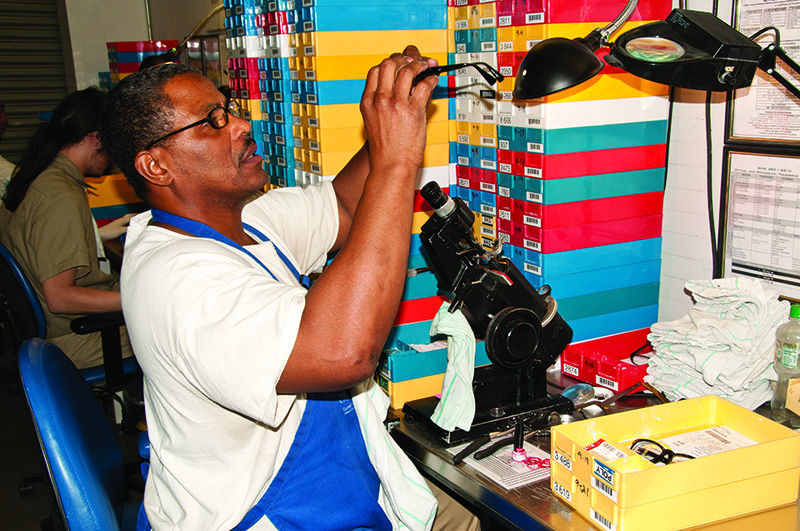 Community Employment Services (CES) connects inmates with post-release employment. Through community partnerships, inmates who participate in CI's work programs have the opportunity to successfully reintegrate into society and engage in training, education, or employment. One community partner, FareStart , provides eligible inmates with an opportunity to participate in a 16-week culinary training program while also receiving housing and career assistance. Learn more about community reentry partnerships at CI's website . Correctional Industries (CI) employees are not only on-the-job role models, but many are also trained soft skills instructors. Inmates are expected to complete Makin' It Work, a 20-hour, employer based cognitive training course. The course helps inmates understand the behaviors and expectations of employers so they can develop the necessary cognitive and behavioral thinking to help them during their work training with CI and when they release back into the community. Inmates may earn Certificates of Proficiency once they complete Makin' It Work, achieve 1,500 hours of on-the-job training, and demonstrate a high level of job skill based upon criteria established by the U.S. Bureau of Labor Statistics Standard Occupational Classifications . Once released, inmates can use their certificate(s) to search for similar jobs and show potential employers their skill set. 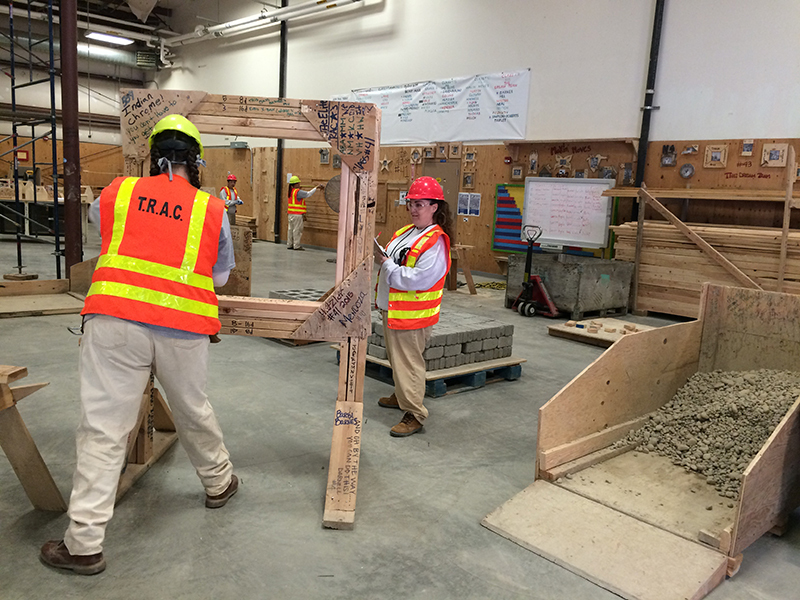 The Trades Related Apprenticeship Coaching (TRAC) program offers inmates at Washington Corrections Center for Women (WCCW) with education and job training for non-traditional female jobs. In partnership with the local carpenters, laborers, and ironworkers union, inmates have the opportunity to complete a pre-apprenticeship program and upon release are eligible for direct entry into the local union apprenticeships. You can learn more about the TRAC program at CI's website TRAC brochure . RCW 72.09.70 establishes a correctional industries advisory committee that shall make recommendations to the secretary regarding the implementation of the inmate work program (RCW 72.09.100). The committee shall consist of nine voting members appointed by the secretary who shall serve a three-year staggered term. The speaker of the house of representatives and the president of the senate shall also each appoint one member from each of the two largest caucuses in their respective houses who shall serve two-year terms (RCW 72.09.80).